I got to know Isaac Weaver a bit through a radio conference, and just talking with him got me excited about making cool stuff again. When I launched the podcast, I knew he'd have a well-thought-out perspective on creativity and crushing the block that stands in your way. Isaac is a podcast host and producer on two shows by Real FM, "Real Talk" and "Weekend Ketchup". 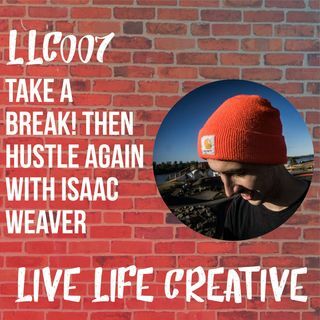 He's an incredibly encouraging and uplifting person to talk to, and had some great things ... See More to say about working in groups creatively to achieve goals, what it's like to work in modern radio and the new relationship between services like Spotify and Apple Music and curated music experiences like Real FM. If you enjoyed this show, click here to rate and review it on iTunes! Every star counts! Remember to share this episode with a friend who you want to help become a better creator.